The outer insulation is high-temperature vulcanized silicone rubber (HTV) and is injection molded. Surge Arrester low-voltage terminal is used to connect with on-line monitor or discharge counter. We have the domestic first-class professional production lines for transformer, arrester and complete testing equipment. 2. The altitude above sea level does not exceed 1000m. ( the plateau area should be indicated when order. 6. Te earthquake intensity does not exceed 7 degrees. 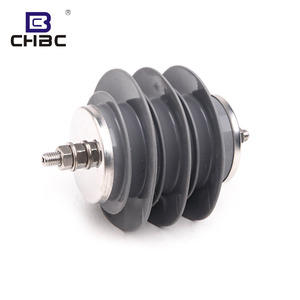 Zhejiang Guangda Electric Co., Ltd.
Can be used mechanically as support insulator or as suspension insulator in case of application as line arrester. Keystone The metal-oxide surge arrester (MOSA) is the most advanced overvoltage protector in the word. d) Power frequency voltage applied continuously between the terminals of the arrester not exceeding its continuous operating voltage. Operating Principl: The metal oxide arrester provides the most advanced protection against over-voltage in the world,since MOA's resistors are made up of Zinc Oxide films. MOA has a good voltage-ampere characteristics as compared with silicon carbide arrester,it is Volt/Ampere characteristics is much superior and results in much better performance. 3. ZnO varistor as the core component is subjected to a series of physical and electrical tests to ensure the reliability and protective ability. We have over 20 years manufacturing experience, the products have sold to more than 20 oversea countries and have won a good reputation in the oversea market. 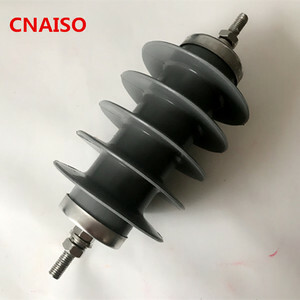 Metal oxides surge arresters without gaps are designed to prevent probable damages in the case of typical surges in energy systems while it has no negative effect on energy systems in normal operation voltage. This special feature of gapless arresters originating from non-linear characteristics of metal-oxide varistors between voltage and current scales. Nanyang Keda Electric Co., Ltd.
Yueqing Doowell Electric Co., Ltd.
(Altiplano area should be indicated when order. 6.Apply to the area where earthquake intensity is not exceed 8 degree. 7.The filthy area should be indicated before. ,Ltd as a manufature established in year2008, specilized in Metal Oxied varistor and Surge arrester with more than 168 employees. The monthly output capacity of MOV blocks and surge arrester are over 150 ton and 80,000PCS respectively. We are a high-tech enterprise of Henan province, also passed ISO 9001. Contact us Welcome to visit our company! 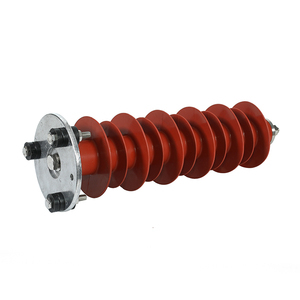 Hot Sell 9KV 10KA Lightning Protector/Surge Arrester The metal oxide arrester provides the most advanced protection against over-voltage in the world, since MOA's resistors are made up of Zinc Oxide films. 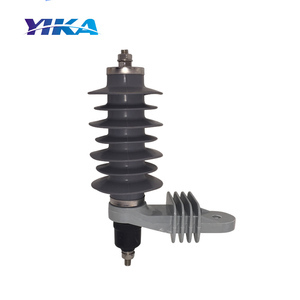 Hot Sell 9KV 10KA Lightning Protector/Surge Arrester 1.Q: How about your quality9 A:We arrange the production quality according to customers' request. 4.Q: What about the customers&rsquo; response9 A: They always become our regular customers and also our good friends. Yueqing Tanho Imp & Exp Co., Ltd.
Good anti-moisture capability, resistant to pollution. 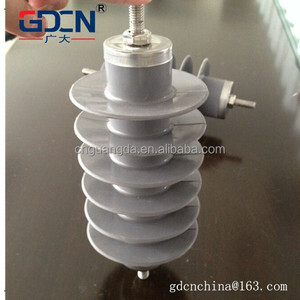 GIS metal oxide surge arrester , composite metal oxide surge arrester and porcelain metal oxide surge arresters are available. Good sealing capability to ensure reliable operation. 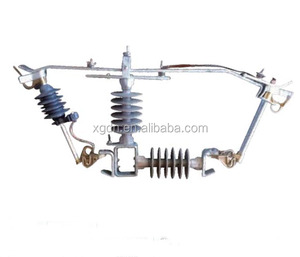 We are China Leading manufacturer. 3. The above product photos are coming from main production. 4. Thanks and the first cooperation to be expected. Alibaba.com offers 264 surge arrestor 9kv products. About 49% of these are power distribution equipment, 18% are other electrical equipment. 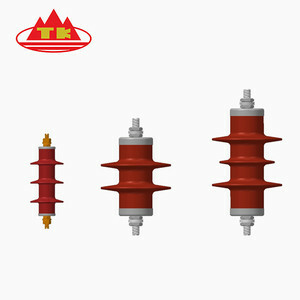 A wide variety of surge arrestor 9kv options are available to you, such as varistor, insulator. You can also choose from free samples. 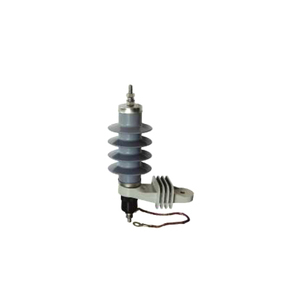 There are 187 surge arrestor 9kv suppliers, mainly located in Asia. 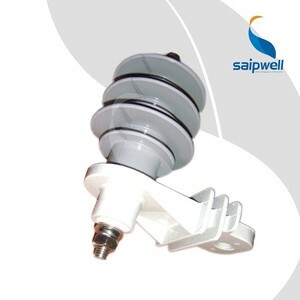 The top supplying country is China (Mainland), which supply 100% of surge arrestor 9kv respectively. Surge arrestor 9kv products are most popular in Domestic Market, South America, and Africa. You can ensure product safety by selecting from certified suppliers, including 131 with ISO9001, 39 with Other, and 36 with OHSAS18001 certification.